Capture every meeting in excellent, noise-free audio quality. Simply place the 360Â° meeting microphone on the table, press record on the remote control and capture all speakers, from every angle. 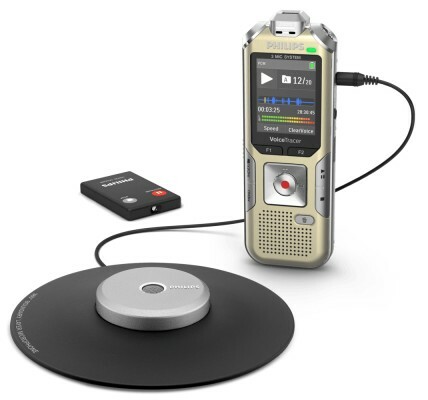 The innovative full radius meeting recorder captures everyoneâ€™s ideas in excellent audio quality no matter where they are seated at the table. The meeting microphoneâ€™s boundary layer design uses dynamic acoustic pressure to provide excellent sound and recording quality with a full 360Â° sound pick-up.